A beautiful record is being caressed by my turntable's needle today, aurally stitching multicolored strands of sound into a delicate design. 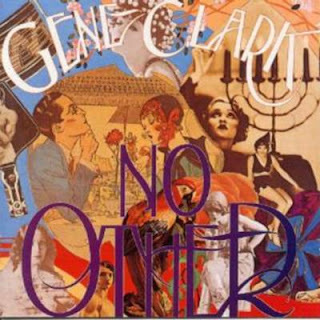 Released in late 1974 Gene Clark's 'No Other" disappeared quickly from distribution and circulation as its unusual musical contents were in direct contrast to what Clark's label was in search of, and what they believed the public craved. "No Other" is a highly experimental record containing only eight extended and artfully expansive tracks. By 1976 the album could no longer be found and had been deleted from Asylum's catalog. In a ironic twist of fate the LP is now viewed as Clark's masterpiece, as well as one of the great misplaced records of the 1970's. 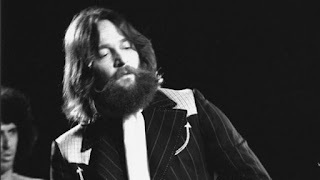 Clark's disappointment in his 'masterpiece' being pushed to the side, and not promoted, signaled the end of his career as a major label artist. Conflicts with David Geffen, and a refusal to conform to the normal business practices of the music industry sealed Gene's fate as a highly misunderstood, and hard to work with artist. The LP's eclectic cover art, extended tracks, and lack of a "hit single" set the stage for its collapse. I believe now music fans are understanding the value of Clark as an artist. 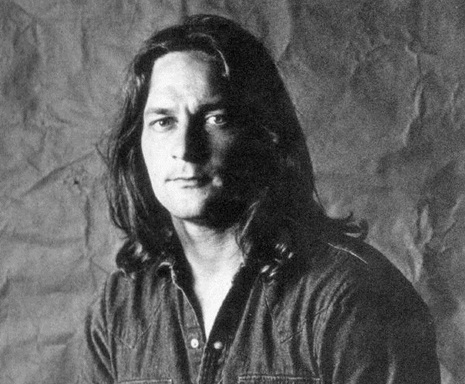 It's my opinion that the music world has finally caught up with an album that was about twenty years ahead of its time, and Clark is finally receiving his dues as one of the finest singer/songwriters of his generation, and as the forefather of "country rock" and "Cosmic American music". The LP opens with the silver ring of Clark's acoustic guitar and the swing of 'Life's Greatest Fool". Cementing his argued position as one of the developers of country rock, Clark opens the experimental record with a straight forward, melodically pleasing, country swing. Clark's soaring tenor takes off on the chorus's with a hearty vibrato, that is chill inspiring. Adding to the "homegrown" feeling of the opening track are Jesse Ed Davis's recognizable Telecaster twangs. The highly sought after rhythm section of Leeland Sklar and Russ Kunkle pushes the groove in their locked down rhythmic dance. Tasteful backing vocals, and a toe tapping chorus make "Life's Greatest Fool" an easy song to hear, and a nice introduction to the rest of the LP, before things start to get strange! One of Clark's most beloved songs, "Silver Raven" follows, again opening with a woody Clark acoustic guitar strum ,and embellished with a warm and slippery Sklar bass line. "Silver Raven" flutters across the room, its symbolism encoded in its dusky melody, and tempting electric guitar filigrees by riff master Danny Kootch, who can be found all over many great records of the 1970's. The "Silver Raven" travels through the simple instrumentation of the song,but contains a deep introspection and inner reflection throughout its verses. Clark's vocals drip over the melody a liquid chocolate, velvet and all encompassing, curling upwards at the ends of lines like the wind blown hair of a beautiful girl. "Silver Raven" looks down at the world below with a curious eye, and a heavy heart, asking the listener, "Have you seen the changing windows, or the sea beyond the stars, and the sky beyond the sunbeams, and the world beyond your dreams?". The title track, and centerpiece of the album appears next with "No Other". In my mind's eye I see a enigmatic shape hidden by mists, revealing its unknown properties through flashing glimpses, but never telling all of its secrets. The introduction of the song a series of bass and keyboard flourishes building in intensity with percussive hits. A slightly electronic vibe comes from the track, in total contrast to its organic content. Clark's vocals move seductively in conjunction with the keyboard melody lines, finally climaxing into Joe Lala's cowbell inspired mid song breakdown. There has never been a better use of rock cowbell in my opinion! "No Others" unique instrumentation should not obscure its intense message that no matter what, "All alone we must be part of one another". This track is based around mood and vibe more than arrangement, just listen to it, because words fail to express its power and intrigue. What feels like a suite of songs to my ears, "No Other" slips into "Strength of Strings", which is in my opinion the best song on the record, as well as one of my all time favorite songs in general. The dramatic instrumentation is driven by arpeggio piano flourishes that dance like spring rain flourishes across a green body of water. The song contains a heavy spiritual vibe that feels like its genesis was on another planet. Clark's vocals never more emphatic and ascending higher and higher in sound and emotional content. Introduced by wordless falsetto vocals, the song balances delicately through sound and silence until erupting into the majestic base of the track. Clark on a mountain summit, singing through cavernous canyons, creeks, and emerald gully's, his voice an omniscient presence raining to earth from the levitated clouds. That is the attraction of this LP, the tasteful orchestration and production by Thomas Jefferson Kaye, that sounds spacious, but ends up subdued and slightly invisible enveloping the song in a tasteful transparent shroud. "No Other" and "Strength of Strings" combine to make a powerful and definitive statement on the LP. It's puzzling why this recording was not a defining moment for Clark. During this period of the 1970's, in my opinion, only Bowie was creating such emotive soundscapes, this is a thinking man's music. You will be hard pressed to find another opening side of a record that reveals so much upon every listen. The second side of the LP opens with another extended epic based around a metallic piano melody. "From a Silver Phial" is a song that rolls gently across abandoned pathways and bi-ways, rumored to have drug connotations, but really a song that brings to mind images of castles, night skies, and mystics. Jessie Ed Davis's watery guitar solo sits at the songs center, and like all of his studio additions is amazing and perfect. The chorus of angelic voices that collaborate with Clark's lofty vocals lend the song a magical and glorious edge. Just when you think the LP has peaked, Gene pulls out another work of art that sounds timeless, classic, and futuristic all at once. Following next is "Some Misunderstanding", a song that reportedly came to Clark in a dream. This story is fitting because the song levitates in a dream like state for its duration. Smooth slide guitar, and drumless interludes draw focus to the personal and desperate lyrics. "We all need a fix at times like this, But doesn't it feel good to be alive". Every track on this album feels like a self contained piece of art. There are no throwaways here, the delicate detail and care is felt in every turn of phrase, guitar lick, and percussive hit. This track sets the stage for the spacy instrumentation that hangs like ancient vines all over side two of the record. "The True One" breaks the meditative spell of side two with a country lilt that brings to mind Clark's work with Douglass Dillard. "The True One" deals with illusion and reality, friends and enemies, all with a helplessly catchy melody. Pedal steel lends a weeping classic country ballad feel to the jaunty number. A fitting uplifting song that helps take the edge of the heavy vibe that is permeating the LP. Probably besides "Life's Greatest Fool", the most "normal" song on the record for lack of a better term. A song that grounds the listener who may be feeling numerous emotions during a listening session of the record. Ending the LP on a dreamy positive note, "Lady of the North" begins and I can feel a crisp mountain breeze mess my hair, and the rich scent of pine enter my nose and tickle my senses. The images of the song develop like an old Polaroid, "the earth was like a pillow", "the seasons roll under the sun". The song stretches for the sky, growing, until reaching the descending and slightly funky middle eight where the keyboards and strings converge in beautiful harmony. "Lady of the North" is a fitting conclusion to the record, whispering a breath of hope across the jagged landscape of mixed emotions expressed across the LP. "No Other" is a record that depending on your state of mind, can act as a therapeutic device for drawing out emotions and revealing clandestine feelings. Clark was a master as expressing numerous moods through straight forward but descriptive lyrical content. His throaty vibrato vocals act as the messenger, delivering the message in towering and powerful blasts. I hope that this entry will help to introduce or remind music fans of Gene's contributions to the music world. After leaving The Byrds, Gene continued to create and express, but unfortunately not in the spotlight, which was filled by fellow bandmates, Roger McGuinn and David Crosby. The respect that Clark was due has just started to float his way, just much too late for him to reap the benefits. If as a music listener you are in search for something that you may have never heard before, or that has the strength to change the way you listen and view the world, this may be the record you have been waiting for. What a lovely review. It is a beautiful, beautiful album.